Why is it that American combat veterans experience the highest rates of post-traumatic stress disorder (PTSD) in the world, while soldiers from other countries have far lower levels? Amazingly, warriors of the past, such as Native Americans, rarely experienced PTSD-like symptoms. In his new book Tribe, Sebastian Junger argues that much of the difference lies not in the individuals, but in the societies to which they return. During a war, American soldiers become deeply immersed in a life of mutual support and emotional connection. Then they return home to a hyper-individualistic, fragmented, superficial consumer society. The shift is just too troubling for many. Life is suddenly bereft of collective meaning. There is no tribe. This theme was moving explored by Rebecca Solnit in her beautiful book, A Paradise Built in Hell, which describes how people show amazing empathy and help for each other in the face of earthquakes, hurricanes and wars. Londoners who lived through the Blitz during World War II don’t really yearn for the danger or death of that time. They do yearn for the profound unity and cooperation that the Blitz inspired. 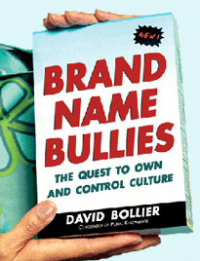 Every time Uber, the Web-based taxi intermediary, enters a new city, it provokes controversy about its race-to-the-bottom business practices and bullying of regulators and politicians. The problem with Uber and other network-based intermediaries such as Lyft, Task Rabbit, Mechanical Turk and others, is that they are trying to introduce brave new market structures as a fait accompli. They have only secondary interest in acceptable pay rates, labor standards, consumer protections, civic and environmental impacts or democratic debate itself. If we can agree in advance about what constitutes a socially respectful marketplace – and what constitutes a predatory free-riding on the commonweal – we’ll all be a lot better off. Consumers, workers and a community will have certain basic protections. Investors and executives won’t be able to complain about “unlevel playing fields” or unfair regulation. And public debate won’t be a money-fueled free-for-all, but a more thoughtful, rational deliberation. Now, if only the European Union will listen to the Committee of the Regions (CoR)! The CoR is an official assembly of regional presidents, mayors and elected representatives from 28 EU countries. It routinely expresses its views on all sorts of major policy issues that may have local or regional impacts. In December, the CoR submitted a formal statement about the “sharing economy” to the EU in an opinion written by rapporteur Benedetta Brighenti, the deputy mayor of the municipality of Castelnuovo Rangone, in the province of Modena, Italy. In a short, fascinating piece at Guerrilla Translation!, Madrid-based journalist Bernardo Gutiérrez shows how the collaborative practices of pre-capitalist indigenous peoples are not so different from post-capitalist practices of crowdfunding, open source software and peer production. Tequio, a term of Zapotec culture describes community labor or material contributions to help finish a construction project for collective benefit. Maloka is a term used to describe an indigenous communal house in the indigenous Amazon region of Colombia and Brazil – in today’s terms, a co-working space and knowledge commons. By training Stefan Meretz is a German engineer and computer scientist, but he is also a deep theorist of the commons who has written often about commons-based peer production and the development of a free society beyond market and state. 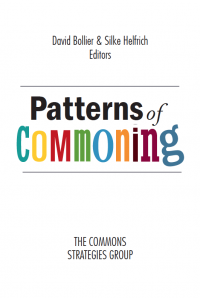 Over the past several years I have learned a lot from Stefan's application of free software-inspired thinking to the commons. 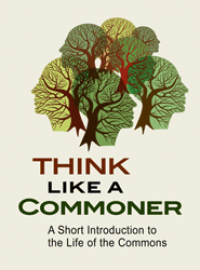 Below, I have posted his wonderful essay, “The Structural Communality of the Commons,” which appears in The Wealth of the Commons: A World Beyond Market and State (Levellers Press). Stefan lives in Berlin and blogs at www.keimform.de. 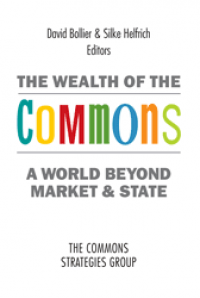 This essay, like the rest of The Wealth of the Commons, is published under a Creative Commons Attribution-ShareAlike 3.0 license. In coming weeks, I plan to post additional essays from our anthology. All of them will all be available at www.wealthofthecommons.org starting in April. Living conditions do not simply exist; instead, human beings actively produce them. In so doing, every generation stand on the shoulders of its forebears. Creating something new and handing down to future generations that which had been created before – and if possible, improved – has been part of human activity since time immemorial. The historical forms in which this occurred, however, have been transformed fundamentally, particularly since the transition to capitalism and a market economy. Although markets have existed for millennia, their function was not as central as they have become in contemporary capitalism, where they set the tone. They determine the rules of global trade. They organize interactions between producers and consumers across the world. 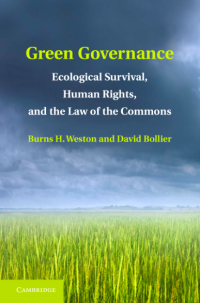 Some observers believe they can recognize practices of the commons even in markets. After all, they say, markets are also about using resources jointly, and according to rules that enable markets to function in as unrestricted and unmanipulated ways as possible. 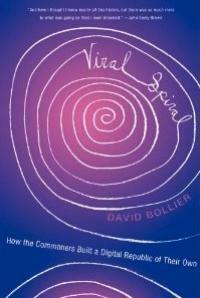 However, markets are not commons, and it is worth understanding why. Although markets are products of human action, their production is also controlled by markets, not by human action. It is no coincidence that markets are spoken of as if they were active subjects. We can read about what the markets are “doing” every day in the business pages. Markets decide, prefer and punish. They are nervous, lose trust or react cautiously. Our actions take place under the direction of the markets, not the other way around. Even a brief look at the rules mentioned above makes that clear. Rules issued by governments first recognize the basic principles of markets, but these rules function only as “add-ons” that are supposed to guide the effects of the markets in one direction or the other. One direction may mean restricting the effects of the market so as to attain specific social goals. Viewed in this light, the supposedly alternative concept of a centrally planned economy turns out to be nothing more than a radical variant of guiding markets. The other direction can mean designing rules so that market mechanisms can flourish, in the hope that everyone is better off in the end if individuals pursue their own material self-interest. The various schools of economic thought reflect the different directions. They all take for granted the assumption that markets work, and that what matters is optimizing how they work. A common feature is that none of these standard schools of thought question markets themselves. That is why markets are at times described as “second nature” (Fisahn 2010) – a manifestation of nature and its laws that cannot be called into question, but only applied. As if recovering from the binge of market triumphalism that crested in 2008, the Zeitgeist is now unleashing a steady stream of new works on cooperation. The rediscovery of this aspect of our humanity is long overdue and incredibly important, given the deformities of thinking that economics has inflicted on public consciousness. So I was excited to learn that the distinguished sociologist Richard Sennetthad written a new book about cooperation, Together: The Rituals Pleasures and Politics of Cooperation (Yale University Press). The pleasures of a book by Sennett is its extreme erudition, lightly worn and combined with a thoughtful personal voice and political conscience. Sennett, now 69, teaches at the London School of Economics and New York University, after a lifetime of studying urban culture, class consciousness, labor and politics. Together eschews the social science jargon that imprisons so many of Sennett’s colleagues, offering an engaging, far-ranging and subtle meditation on how human beings learn to cooperate. He draws upon evolutionary science, sociological research, a life of field research, and his personal experiences as a celebrated political cosmopolitan. The great value of Together is its creation of a fresh vocabulary for thinking more systematically about how cooperation occurs, and does not occur, in contemporary life. This is quite a radical act considering the general orientation of economics and public policy, which tend to presume that we are all individuals living in isolation, as disconnected libertarian monads. It's utterly false, of course, but we do not have a very developed or precise public narrative for asserting the opposite. Sennett supplies one. Every day all sorts of fascinating, commons-relevant stories flow through my computer. I thought I'd showcase a few of the more notable ones. Radical Philosophy, a UK journal, has a fascinating essay, “A Tale of Two Worlds,” by Nicolás Mendoza, about the “silent protocol wars” that websites like WikiLeaks, 4Chan and the Anonymous hackers are embroiled in with nation-states. The “de-localized collaborative community” is arguably the biggest social innovation of the Internet. It is the source of what Mendoza calls a “rogue episteme” – alternative, sometimes-subversive ways of seeing and engaging with the world. But will these alternative networked communities be made technically impossible if they continue to challenge the authority and control of the nation-state? Recent provocations by WikiLeaks (the US Embassy Cables leak) and Anonymous' retaliatory acts raise the question. The implications for the civic sovereignty of citizens elsewhere around the world is huge. Sometimes it just takes a determined set of commoners to get the job done. Impatient with the lethargy of the federal government in making its own films and videos available online, info-activist Carl Malamud has launched the International Amateur Scanning League. Dozens of volunteers are digitizing government-produced DVDs on everything from agricultural advice to presidential addresses, and putting them on the Internet. British Beer-Drinkers Learn to "Buy Local"
The venerable English pub has long been a place where everyone from the businessman to the housewife to the student, factory worker and vicar could meet as equals — a social commons that reflected the neighborhood and its idiosyncrasies. Over the past twenty years or more, however, large corporations have consolidated the ownership of British pubs so that some companies own thousands of them. The trend has accelerated in recent years, forcing hundreds of independent local pubs to close. Read more about British Beer-Drinkers Learn to "Buy Local"
Do humans have a natural propensity to form commons? That is certainly one way to interpret recent findings by scientists studying the innate behaviors of babies. It turns out that very young children show a natural willingness to help other out and cooperate. Property law is not exactly a riveting subject, and law professors are not usually good storytellers. But in his new book The Gridlock Economy, Michael Heller, a professor at Columbia Law School, has written one of the most intelligent and accessible critiques of how overly broad property rights can be harmful not only to the commons, but to the market.